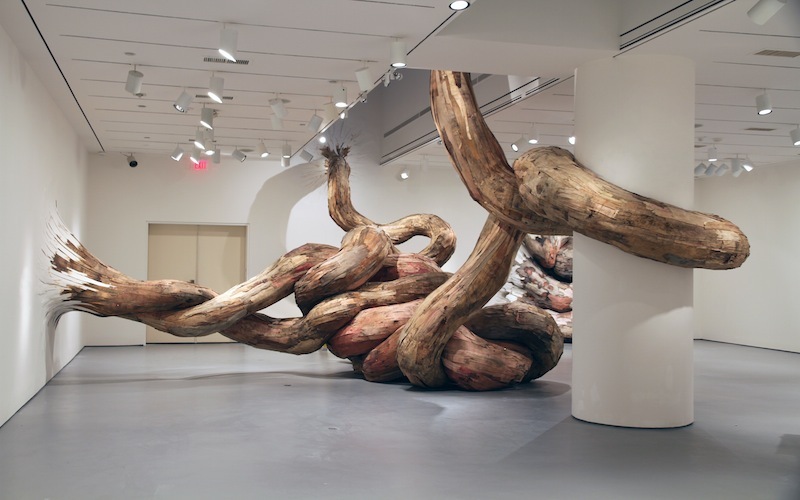 Henrique Oliveira is one of the most striking Brazilian artists of his generation. A painter by trade, Oliveira switched to wood to great effect. 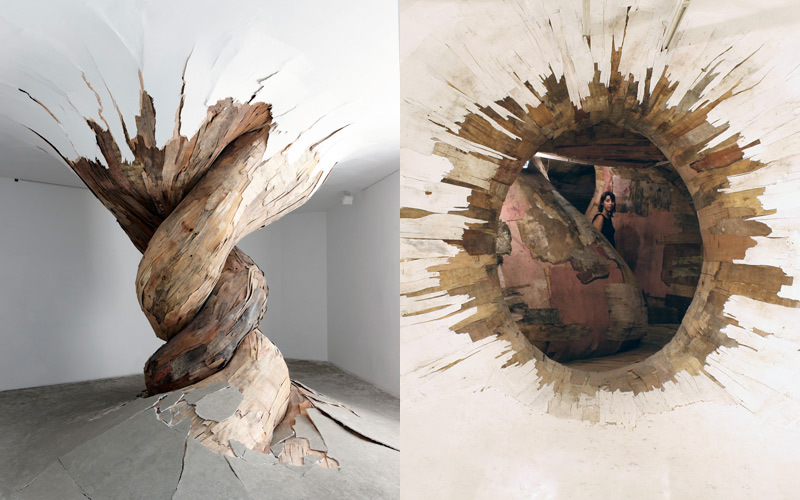 His wildly expandable organic plywood sculptures turn the most ordinary spaces into mind-blowing and dare we say, psychedelic environments. 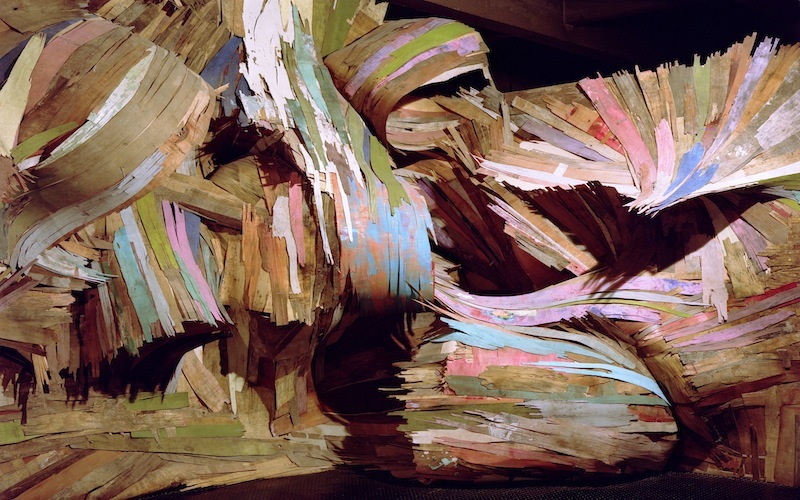 After watching an old peeling wooden fence outside his studio, Oliveira had a vision of the peeling strips of wood as something similar to that of the brushstrokes of the painter. 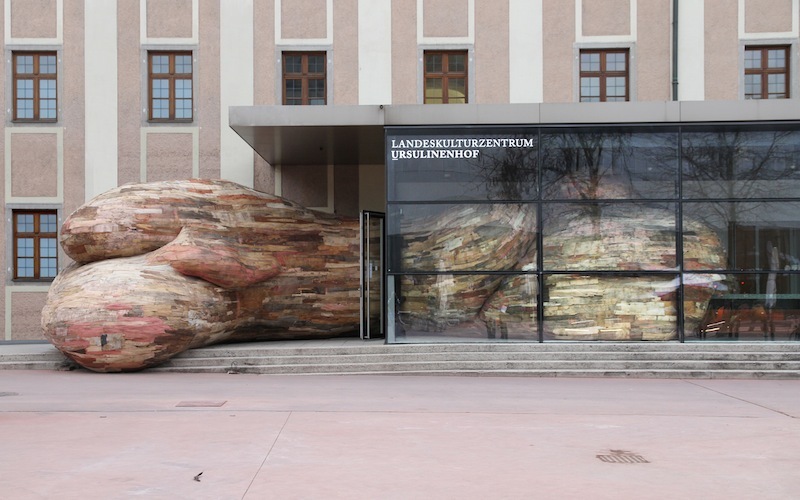 His sculptures which range from the enormous to smaller works are all made of the same plywood strips collected from construction sites around São Paulo. These are then meticulously layered into forms that are also sometimes painted over. 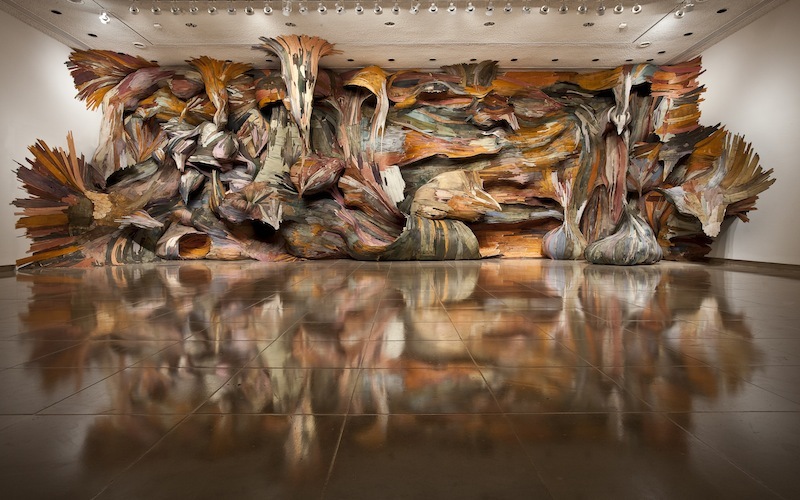 Oliveira is known to create cavernous canyons of plywood that visitors can inhabit, thereby awakening the visitor’s environmental consciousness – an ingenious way to reuse a product that’s been broken down so much beyond the point of repair; instead of sawdust, art is created. See more of Oliveira’s painting and sculptural works at: henriqueoliveira.com, galeriamillan.com.